From Ms Chin to Mrs Eio. Today, I tender my resignation letter to MOE after being on no-pay leave (NPL) for 2 years plus. During my 7-8 years of teaching in secondary schools, I’ve always been known as Miss Chin (before married) & Ms Chin (陈老师） after I got married to Mr Eio on 2nd Dec 2006. After I started to be on NPL, people around me started to call me Mrs Eio. Especially the contractors & vendors during my new house renovation. I’ve decided to start blogging if I can tender my resignation before or on 7th July 2015 & I’ll name my blog & declares “I am Mrs Eio” to mark the start of my new calling & journey on family, kids & food (which I think has already started when I’m on NPL 2 years back ). I love my students, sure miss some of my ex-colleagues & bosses but there’s a season for everything. 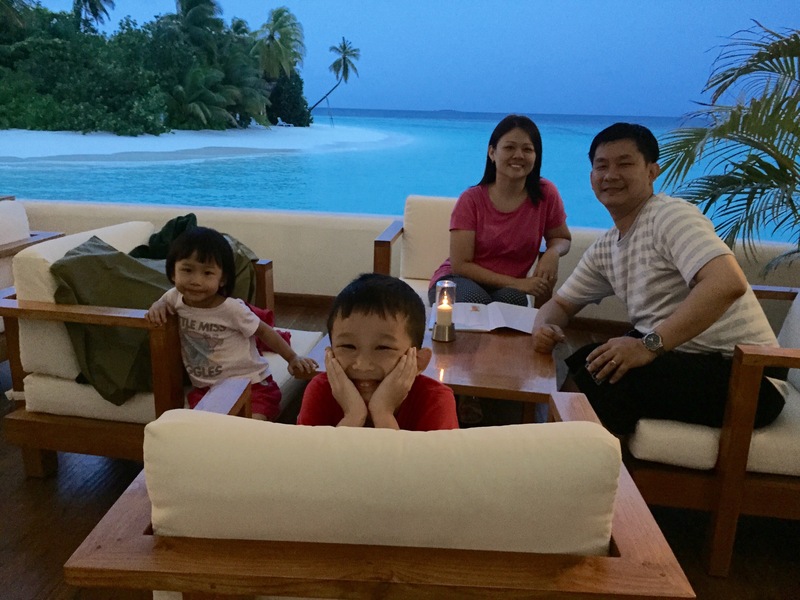 Photo taken in Maldives, Safari Island on June 2015.